They look very, very cute together! The news is in and we are so here for it. Reese Witherspoon lookalike, also known as her daughter, Ava Phillippe, is rumoured to be dating none other than Beatles legend Paul McCartney's grandson, Arthur Donald. They were spotted together in London at eatery and cocktail lounge Sketch. They're both in town to support famous family members, with Ava hitting A Wrinkle In Time's red carpet alongside her mother Reese Witherspoon on March 13th, and Arthur attending a special screening of My Generation with mum Mary McCartney and grandfather Sir Paul McCartney the following day. We're not going to lie… The two 18-year-olds looked adorable together. They also both seem to be preparing to leave the nest soon, with Witherspoon's eldest daughter planning on starting college and Arthur having been accepted into prestigious American University, Yale. Apparently Grandpa Paul is helping him make the move and settle, sending Twitter into a mini frenzy when the legendary musician was spotted strolling through campus with his grandson. We love seeing different generations of Hollywood royalty coming together and start a whole new dynasty of their own. What will their wedding be like? Will they dance to a Beatles song as their first dance together? Will Reese Witherspoon insist that the invites are scented, because it will add a a special touch (Legally Blonde reference, guys)? Will Paul McCartney invite collaborators and BFF's Kanye West and Rihanna to the wedding? Will Ava DuVernay direct the whole thing? 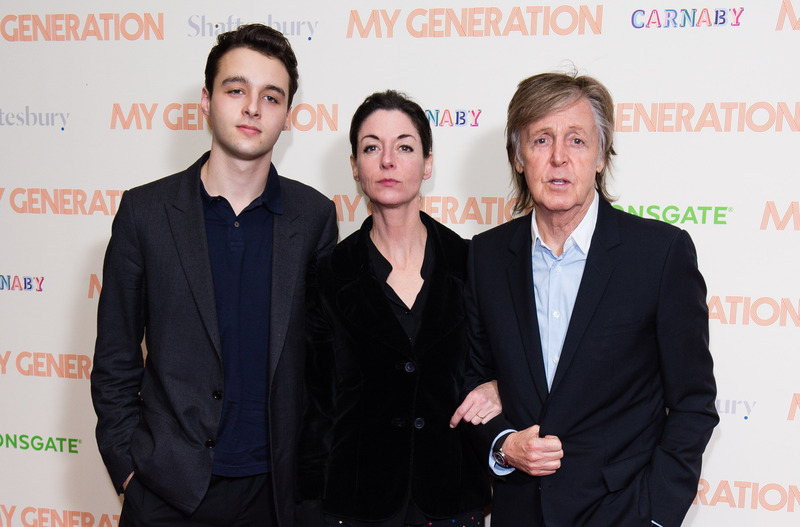 Will Mary McCartney serve as the wedding photographer? This story was originally published on the Debrief..